We have created a series of maps overlaid upon a modern google earth map that depict the property lines of the area about 1870. These have been compiled from tax lists, deed books, sheriff sales, and other records. All of that information is searchable. The following is a link to the map covering the area of modern Brooks County and Lowndes County, as well as parts of Echols County, Lanier County,and Thomas County. The area for Echols County and Lowndes County is more or less finished. The maps are color-coded. 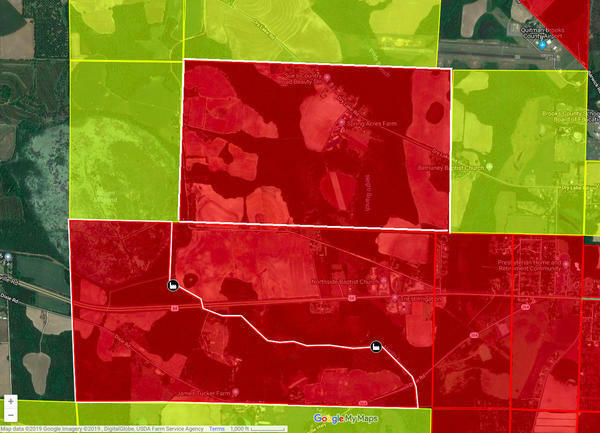 Red = The landowners or their families that were there before the Civil War were still there. Blue = The landowners came during the Civil War. Brown = Freedman landowners, or in some cases land that was owned by free people of color before the Civil War. Light Blue = Land the was owned by people outside of the county. Yellow = Land that the landowners from about 1870 cannot be positively identified. Areas without color are those land records have not been encountered yet, and were probably owned by people living elsewhere in Georgia. 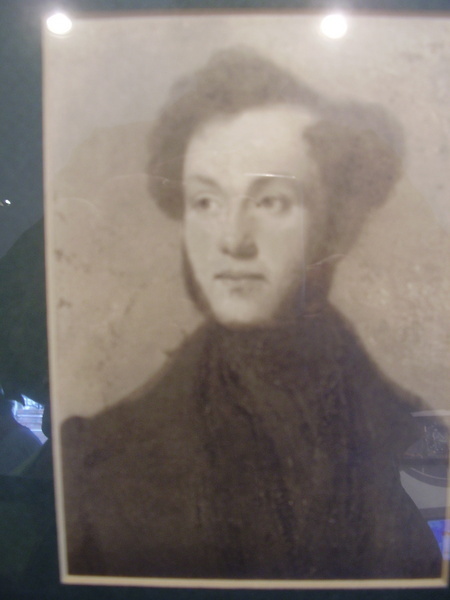 George Hicks sold in 1845. LL 434, 441. LD 12. Land plat. 25 January 1854. Property of George Hicks to be sold May 1845. Including mill. Jesse Goodman. 1830 tax list. 245 acres. William G Goff. 1830, 1834 tax list. 245 acres. Asa Geiger. 1834. 1835 tax list. 122.5 acres. William J Rushing. 1835 tax list. 122.5 acres. Ryan Fryier 1835 tax list. 145 acres. William Lastinger. 1835 tax list. 100 acres. William J Bivins. 1838, 1840 tax list. 195 acres. George Alderman. 1838 tax list. 122.5 acres. George Hicks. 1838, 1840 tax list. 100 acres. James Goff. 1830 tax list. George Hicks. 1838 tax list. That seems to add up to 400 to 500 acres. Benjamin W Sinclair. 1871 tax list. 490 acres. So apparently B.W. Sinclair owned somewhere around 900 to 1000 acres. This is a far cry from what I thought he owned, which I imagined as a hardscrabble small farm off of what is now GA 76, between Quitman and Morven.